Find the Information You Need. Quickly and Easily. 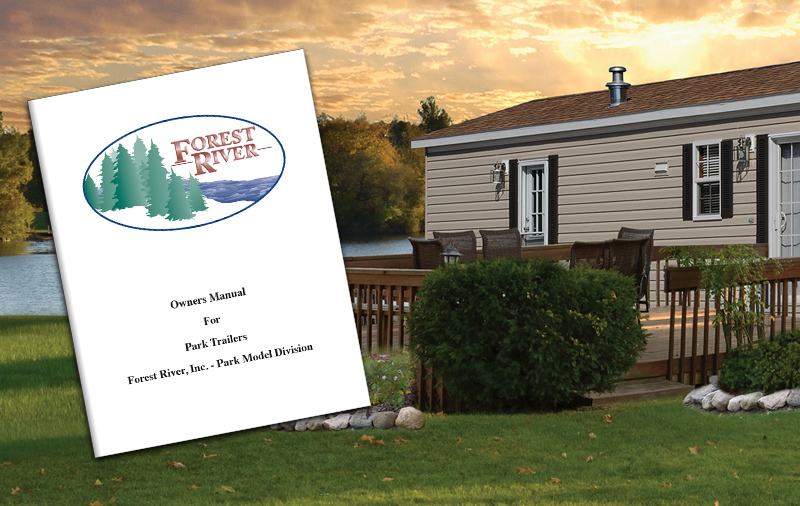 This page contains important information about your Forest River Park model including product and component owner's manuals, as well as Foundation System Specifications. We appreciate every owner of our Forest River Park Models. We want to ensure their enjoyment for many years to come! To get the most out of your park model, care and maintenance is essential, and the responsibility of the owner. Our Owner's Manual is provided to review some common care and maintenance items to help you get the most out of your unit for years to come! Your dealer will go over many of the things after setting up the Park Trailer on your site. The dealer should be your first source of reference concerning questions you may have that are not covered in this manual. Many of the suggestions and ideas expressed in the manual are general guidelines for most common applications. Specifics may be affected by park and local rules and by local weather patterns. Our Park Model Owners Manual gives some common maintenance and care guidelines so you can ensure longevity and enjoyment! Quality Components Inside and Out. Having trouble with one of the components on your Park Model? This is your one-stop location to find some of the most common component manuals used in our products. Didn't find what you need? Please Contact Us and we will try to get the information that you are looking for! 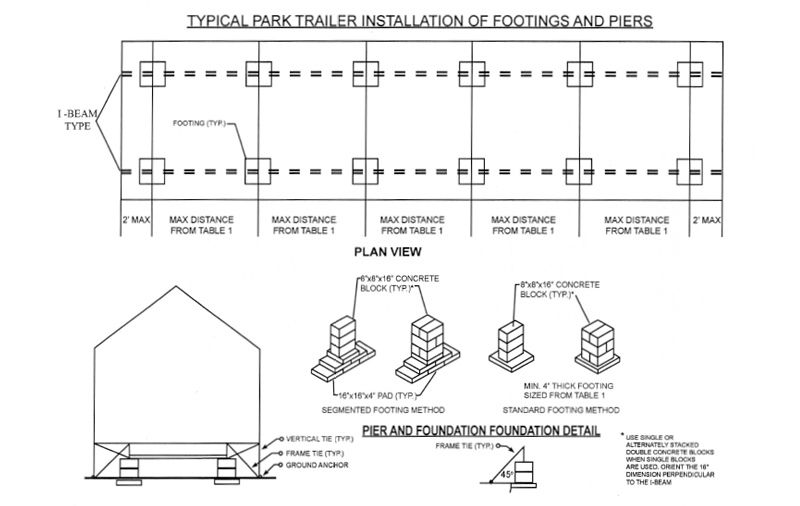 Park Trailers constructed by Forest River are designed to be supported by a "pier and beam" foundation. A park trailer constructed in this manner utilizes the steel undercarriage as an integral part of the foundation system. The weight of the Park Model is supported by the under carriage which is placed on a series of "columns" or "piers." This manual will help properly set up the foundation system for your Forest River Park Model. 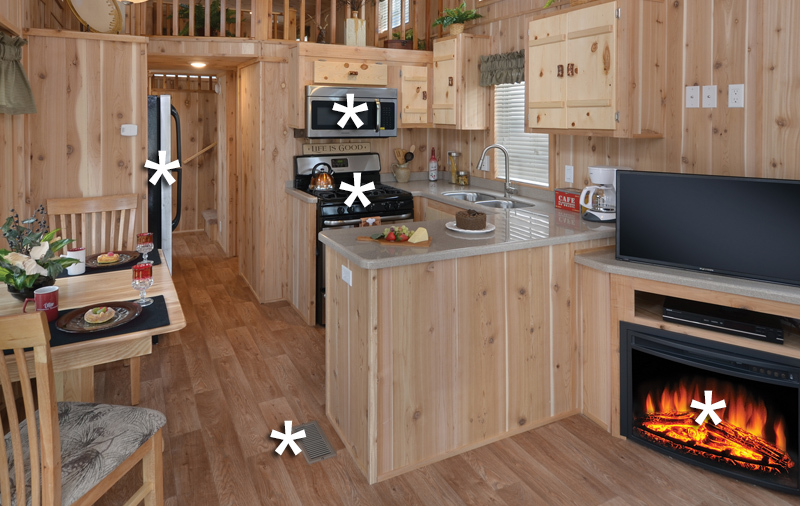 The proper set-up of your new park trailer is of utmost importance and must be performed by experienced set-up men. Your dealer can assist you in locating experienced personnel and their services should be used. The following manual gives vital information to provide the required stability for your park trailer and must be followed regardless of who does the work. Failure to follow the information in this manual could result in serious problems, which is not the responsibility of the manufacturer. A guide to properly set up the foundation for your Forest River Park Model. An experienced set-up man should be used to set up your park trailer. Contact your dealer to find experienced personnel.